Childhood memories, complex planning negotiations, a bankruptcy and floods. How an historic local landmark was saved and is now a profitable new residential complex. 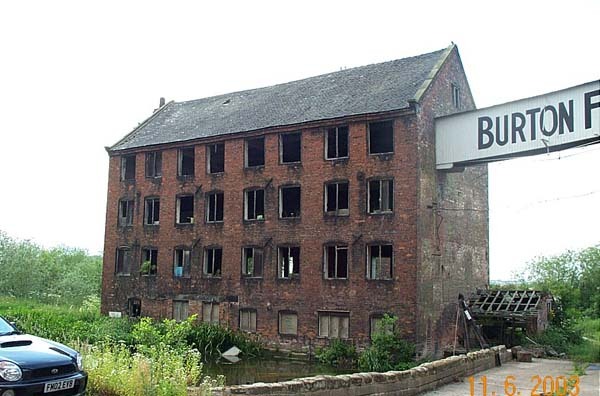 The Grade 2 listed Flour Mill had been empty and mostly derelict for almost 20 years. The local planning officers had granted planning permission for a mixture of offices and residential development. 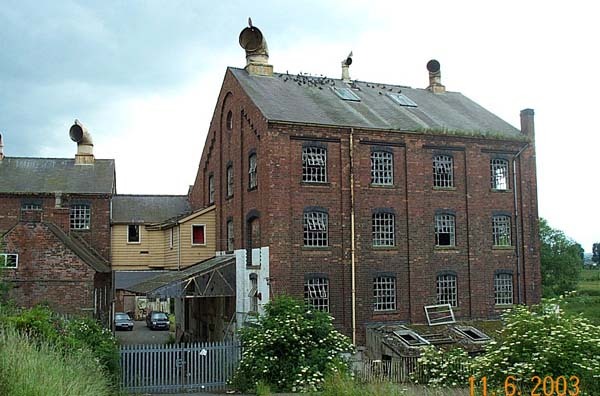 The original developer had been awarded a government grant to subsidise this work but the grant was withdrawn, making this development too costly to continue with, and resulted in them unfortunately being declared bankrupt. Our client took over the site and approached bi Design Architecture. Our task was to create architectural designs and obtain planning permission for a 100% residential development that was commercially viable without any government funding, on a site with conservation issues, wildlife issues, English Heritage involvement, substandard highway access and at risk of flooding! 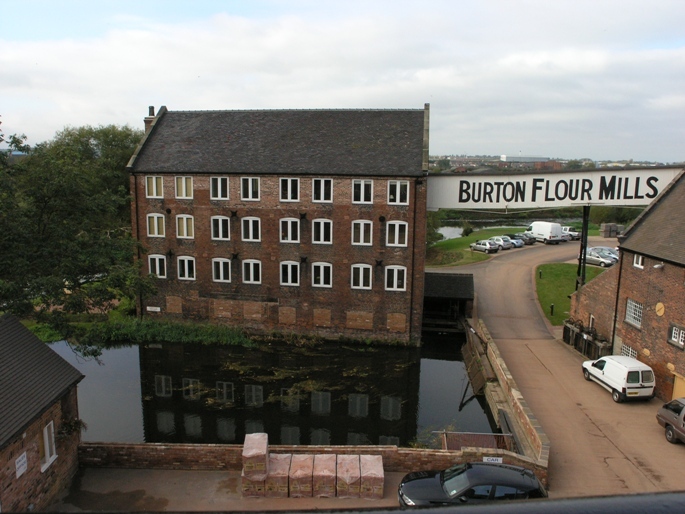 The oldest part of the Flour Mill at Burton Upon Trent dates from around 1780, and the River Trent was split at this location to power the old water mill. This makes the whole site extremely vulnerable to flooding. This is something that we discovered has always been the case as we were able to use the notches on a post made by workers over the decades to record the height of floods, to calculate the flood risk. 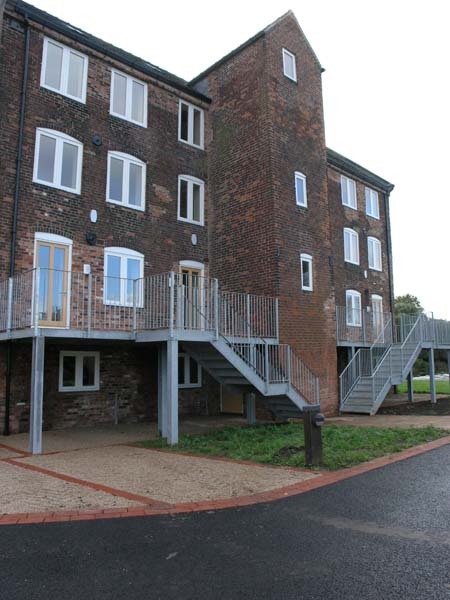 We worked closely with the local conservation officer, English Heritage and the Environment Agency and proposed a conversion of the old buildings and two new buildings that were a mix of houses and apartments. We prepared flood risk assessments, worked on Highways Agency issues and made sure that protected species of bats and owls were considered. We also worked closely with the local planning authority through a series of complex negotiations. We were able to save a substantial amount of cost from the development by the way we dealt with the retaining walls that had been proposed in the original plans. 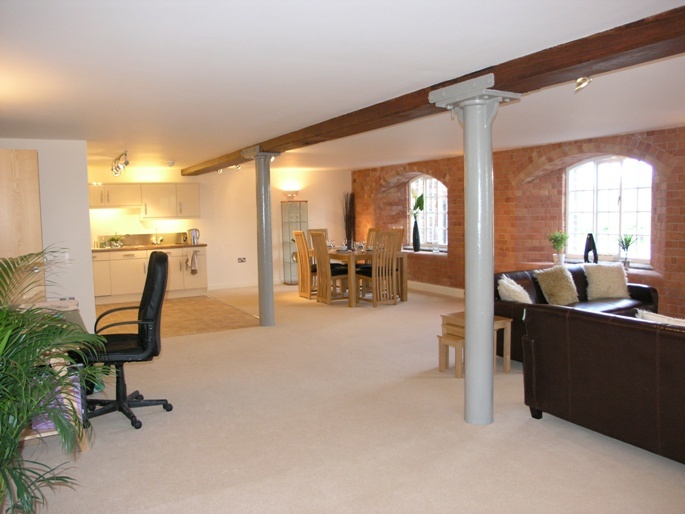 By incorporating the retaining walls into the basement of the buildings this saved money and produced more usable floor space which meant we enhanced our clients profits. 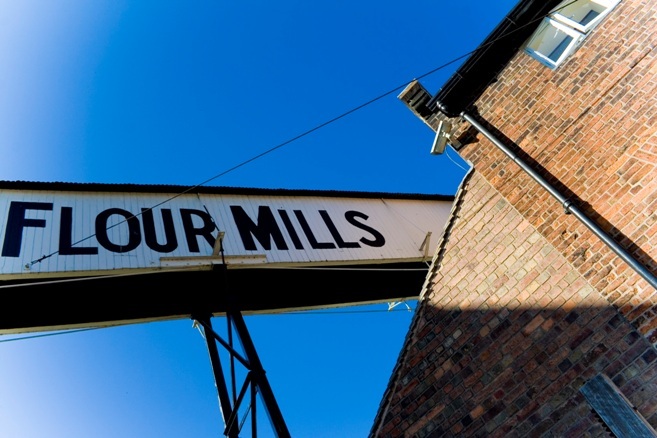 Our Practice Director, Darryn remembers looking at the Burton Flour Mill whilst sitting in the garden of The Sump, the pub adjacent to the development with his father when he was around 14 years of age, never dreaming one day he would design the scheme that saved it from demolition! 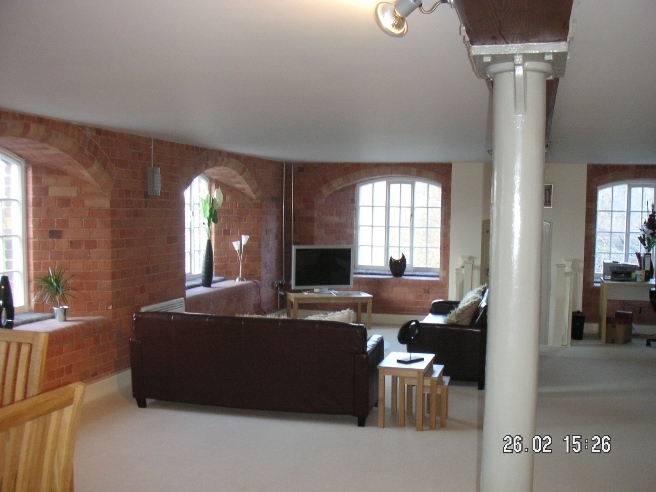 Darryn was determined that this project would be historically sympathetic, and he and the team looked at other local buildings along the Trent and some of their attributes were included in the design, including a curved gable end, a round window and detailing from the original Four Mill buildings into the new buildings. To alleviate the flood risks the area for the car parking spaces was raised up, the basements were used for parking and the access to the buildings was from raised walkways. None of the properties could have a garden, but to provide outside space one of the buildings has a roof terrace with fantastic views. 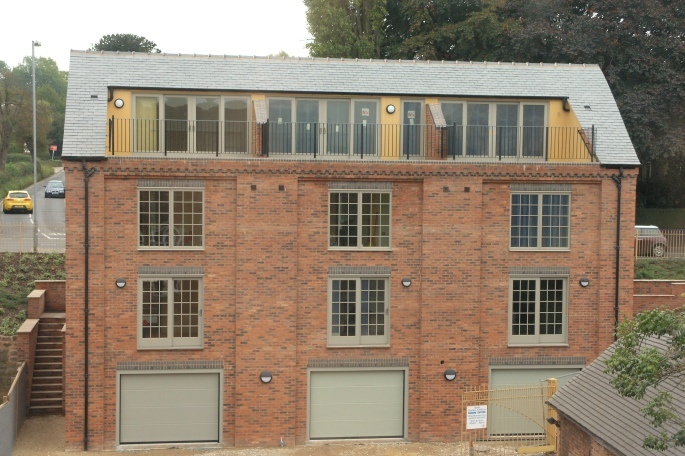 Without any grants or external funding we were able to deliver our client a profitable development of 7 new homes and 16 apartments. We enhanced our clients profits by the clever redesign of retaining walls and preserved an important historic landmark whilst giving it a new purpose. The local conservation officer suggested we enter the Burton Civic Society Awards and we won the Refurbished Properties Award for our work.